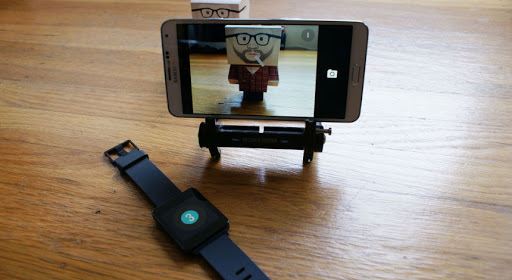 One feature I like most about the Android Wear Watches , it’s their capability to swap faces. Unlike the other smartwatch system software that prevent youfrom creating custom faces, or need you to have some challenging coding capability, Android Wear comes with some enabled workarounds which are easy to follow. Android Wear has endless possibilities to customize the look and feel of the interface. This means that the Android Wear users can choose a variety of color and faces options. There is a massive collection of custom watch faces vying for your attention. Whether you have a square or round face watch, there are tons to choose from. If you are an iOS user do not go, Android Wear is also compatible with iPhone devices, so you can also make a good use of this roundup too. However, you should consider having an Android Wear Watch first. You might think that the Android Wear does less with iOS, but it provides a better wearable experience than an Apple Watch and it also works better. If you would like to install the custom watch face on a smartphone, sideload any APK file directly to the Android Wear smartwatch. In case you’ve one ready, follow the steps below (have a reliable computer to complete the process). Download & Install Developer Tools on the Windows, OS X, or a Linux PC.Enable the developer mode on the Android watch: Open Settings, Tap on the Aboutoption, keep tapping on its Build Number till it shows that you are a developer.In its Settings menu, click on the Developer Options and enable/activate ADB Debugging.Take the APK file on the Android watch face to be sideloaded, then change the file extension from the .apk to .zip.Extract the ‘zip’ file and find the real APK file. It’s found in /res/raw.If you have not done this already, connect the watch to a reliable computer via USB. If you are on Linux PC, the OS X steps should be the same. You just have to follow them and substitute ‘Macintosh HD’ with the identity of the boot disk & terminal with the compatible command line application. Go the Terminal and open it (Macintosh HD -> Application -> then Utilities.) Connect yourAndroid watch to a computer via the USB.Type the following command (make sure you don’t press enter); ./adb install.Enter the actual location of APK file you do want to sidelong (you can drag the APK into the window phase of the Terminal or rather type the path name). The command is supposedto display something like; ./adb install/MacintoshHD/locationofapk/apk.apk.Tap Enter and then let adb do what it does best. Type cmd in search and open up command prompt. Type down adb devices, this makes sure that your computer sees the Android watch. You’ll likely notice a serial no., with your ‘handset’ besides it.Add the command (make sure you don’t click enter): adb install.Then insert the APK you’re sideloading (you can choose to drag the APK in command prompt window or typing the path). You should see something like adb install C:UsersBestUserEverlocationofapkapk.apk.Tap enter and then let adb do its thing. Now with the Android watch face already installed on your Android Wear handset, you can now easily select it by pressing and holding the watch face till the selection screen appears. You can also go to Android wear application and choose it there.